Fancy a hot pot solo? 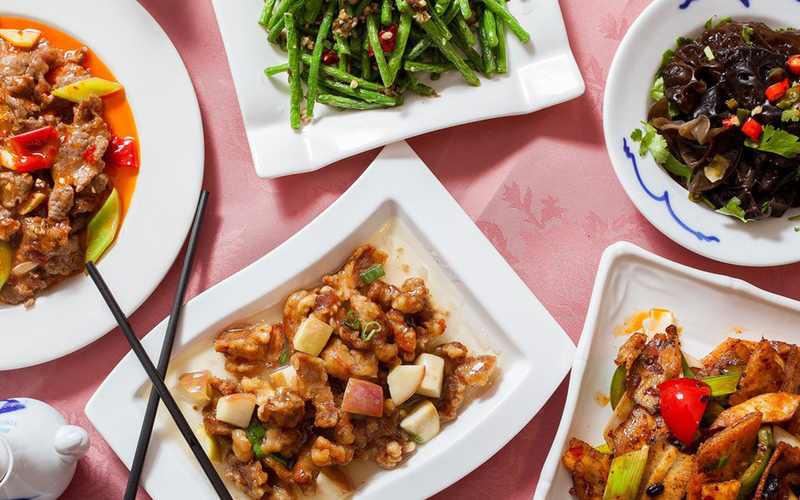 Order the ‘mao cai’ at Baiwei if you’re sans crowd but still in the mood for flavour-dense, slow-cooked Sichuan goodness. At Little Lamb it’s all about big bowls of bubbling stock and the traditional Mongolian-inspired hot pot. Do try the namesake lamb, too – sliced wafer-thin – or everything from beef to cuttlefish. This one’s easy on all budgets too, as you can eat all you like for around £25 pp. 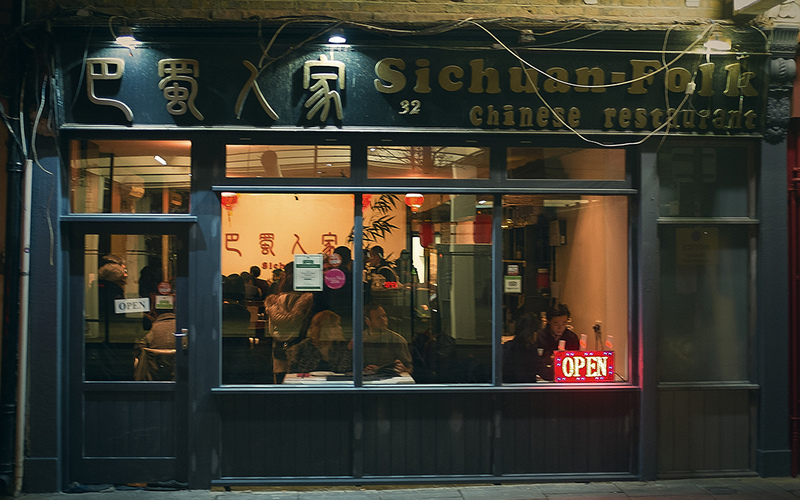 From the same group as Sichuan Folk and the famous Xi’an Impression, Sichuan Chef is the west London counterpart, and perfect if there are hot pot first-timers in your crew. Order the all-you-can-eat platter of fish slices, noodles, meat and vegetables, and be sure to give the house sauces a whirl too. 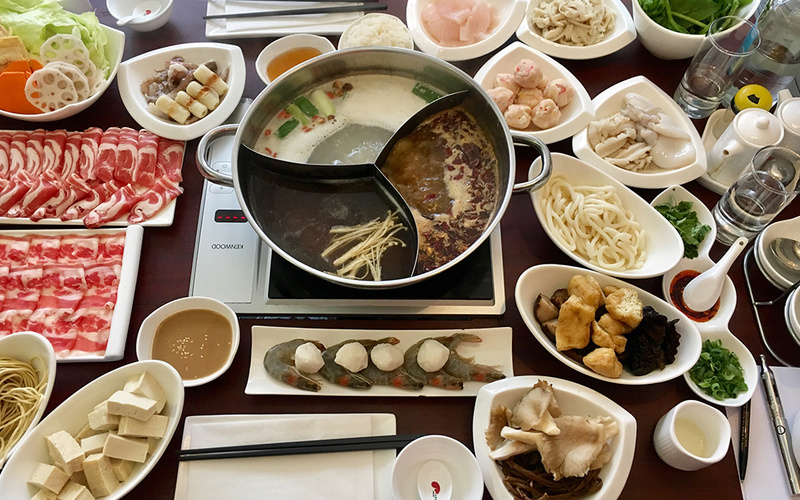 Out east with a hot pot craving? 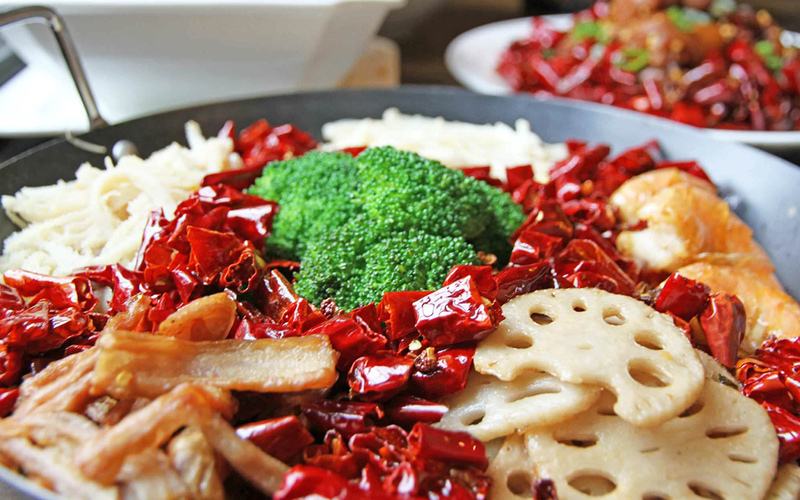 Then find your way to sister branch Sichuan Folk, who specialise in herbal hot pots that do not pull a punch with the chillies – you’ve been warned! After you’ve worked your way through the classics, switch it up with a slick vibe. 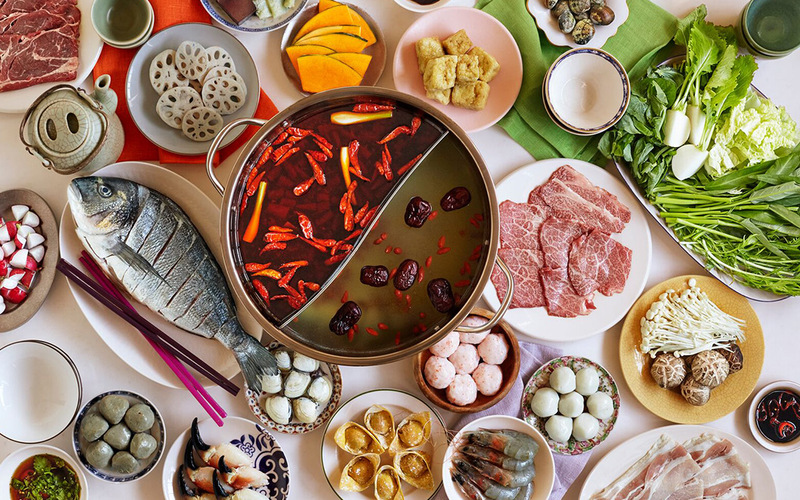 Shuang Shuang specialises in a contemporary take on a hot pot, where you can add ingredients from conveyor belts to bowls of broth.